A Laughter Yoga Club in Newbury Park! What is Laughter Yoga? It is not a stretching class and you don't even need a yoga mat! Classes are only 45 minutes long and the benefits are great! Most of the class is spent on playful laughter exercises and ends with some relaxing yoga style breathing exercises. No yoga mats or equipment is needed. Wear comfortable clothes. Sustained laughter is a very healthy aerobic exercise that increases endorphins and lowers blood pressure. Gentle breathing can help relieve tension and stress. The silly group meets Monday nights at 6:30pm at the Conejo Valley High School auditorium in Newbury Park. Admission is FREE. 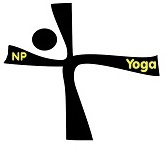 For more information, visit www.newburyparkyoga.com or call Mary Watson at 805-376-9641.